Many people want to start a blog, but they just can’t decide what to write about. If I had started a blog years ago, I would be in that camp. I just have so many interests, and there are so many possible topics to focus on that it would be paralyzing picking one topic. There may be a rare person who knows exactly what their focus will be from the get go, but for the rest of us out there, it can be a tough thing to figure out! I may not be able to tell you what you should blog about, but I can give you some considerations to think through as you make your decision. 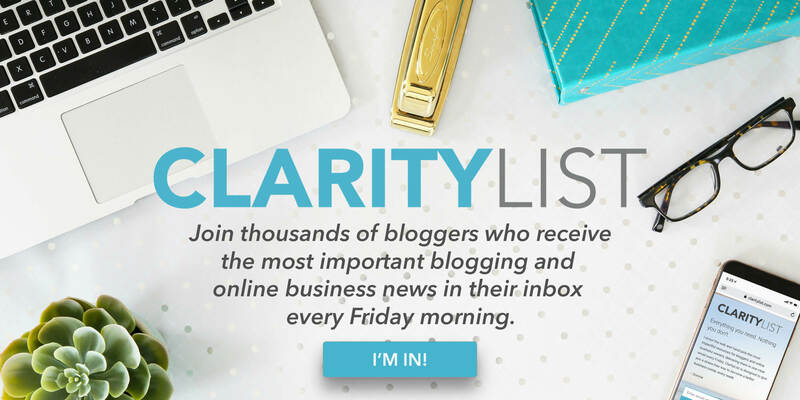 This is the easiest place to start your potential blog topic list. Think about what you are interested in — maybe now, or what you were interested in years ago. I’ve heard of some bloggers “reviving” an old passion they had forgotten about and starting successful blogs around those passions. Years ago as a teenager I was really into fishing and ultimate frisbee. I haven’t touched those two hobbies in years, but maybe reviving those passions and creating a blog around those topics would make sense. If you’re fortunate enough to have one overarching passion in your life, most likely that’s what you should blog about. Do you spend all of your time knitting custom mittens? Blog about that. Do you spend all of your time watching British TV dramas? Consider incorporating that passion into a blog. 2. Consider the blogs you read. 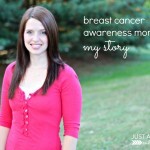 Abby has told the story of working part-time as a bank teller (pre-blog) and reading everything on I Heart Organizing. It was her favorite blog! 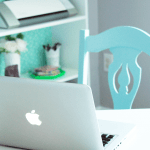 Chances are you have some favorite blogs as well. What type of blog do you spend the most time on? What type of blog do you enjoy reading the most? Consider blogging on a similar topic. Make a blog that you would enjoy reading. 3. Teach everything you know. Are you knowledgeable about a particular topic? Do friends and family come to you for advice about a particular topic? The idea of “teaching everything you know” comes from Nathan Barry. He’s argued that the best way to build an audience is to teach. You may not feel like you’re an expert on a particular topic, but chances are that you know more than some other people. If your friends and family are always asking you for decorating advice, consider writing about that. If your friends and family are always asking you for fashion advice, consider writing about that. If your friends and family are always asking you about photography or photo editing, consider writing about that. 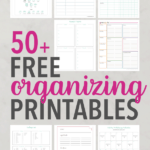 Abby and I saw this concept play out in real life — my friends and family were always asking me about my paperless systems. 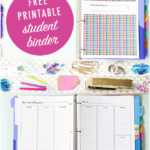 They knew that I went completely paperless, and they were curious about my process. For awhile it was a common topic of conversation. Eventually, Abby asked me to write a post on this topic. It was the easiest and most enjoyable 6,000 words I ever wrote. Others found it helpful and the post took off. Teach what you know! 4. Think about missing content from your favorite blogs. As you read your favorite blogs, is there a noticeable gap in the content? Is the blog author missing a major point about the given subject? 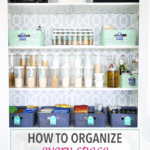 Maybe you have a favorite home organization blog but you’ve noticed that all of their articles focus on expensive or high-end organizing solutions. You could start a blog with the intent of filling in the missing content of inexpensive but still effective organizing solutions. Maybe there’s a productivity blog that you read religiously. Over time you’ve noticed they focus mainly on productivity tools and apps for desktop computers. You could fill a gap in the content by starting a blog that focused on iOS or Android productivity. 5. Focus on presenting solutions to problems. It’s been said that a business at its core is just a solution to a problem. What problems or pain points do people have? Write a blog with the goal of helping others solve that problem. If enough people have the problem and your solutions are good enough, you have a successful blog on your hands. 6. Write as a leading learner. Unfortunately, many people think they have to be an expert in a given field in order to create a successful blog around the topic. This isn’t true at all, and in fact, being an expert while trying to teach others can make you feel unapproachable, with a large disconnect with your readers in your writing. When starting a blog, it’s helpful to think of yourself as a leading learner — what are you learning about currently? Teach that. You’ll always be a step or two ahead of others, and they’ll appreciate your perspective. Abby is a great example of this. 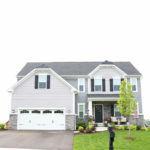 One of the primary focuses of her blog is home decor. I think she’s pretty great at it, but if you ask her about her decorating skills, she won’t say she’s an expert. She would acknowledge that she’s a million times better now than when she started a few years ago, but she’s still not an expert. She could list a hundred other bloggers who she thinks are better at decorating than her. Did this “lack of expertise” hurt her during the early stages of her blog? Absolutely not! She took the perspective of a leading learner and realized that just because she wasn’t an expert, that didn’t mean that some people couldn’t learn from her. She shared what she learned and knew at the time, and that was always more than some of the people who followed her blog. As she got better with practice, she continued to teach and was leading her readers along in the same process. Think of an area where you could be a leading learner for your readers and consider blogging about that.Click To TweetThink of an area where you could be a leading learner for your readers and consider blogging about that. 7. Think about the body of work you want to have in five years. Anonymous blogs rarely work out. If things go well for you, eventually your friends, family, and co-workers will find and read your blog. That’s a great thing! Your blog posts over the years are what you’ll be known for. What type of posts do you want to be known for? What do you want your body of work to be? Years ago I started a blog about travel hacking and collecting credit card miles and points. I had a lot of experience with this, and I figured I could teach others to do the same. Over the first month of the blog I gained quite a bit of traction. I was featured by one of the top travel hacking blogs in the world and received thousands of visitors. A few weeks later, I shut the thing down. Why? Because I didn’t want to be known for travel hacking and gaming credit card companies in order to earn travel rewards. I’m not saying that it’s a bad idea for some people, but I just didn’t want to explain all that to friends and family. I didn’t want to be known for travel hacking. 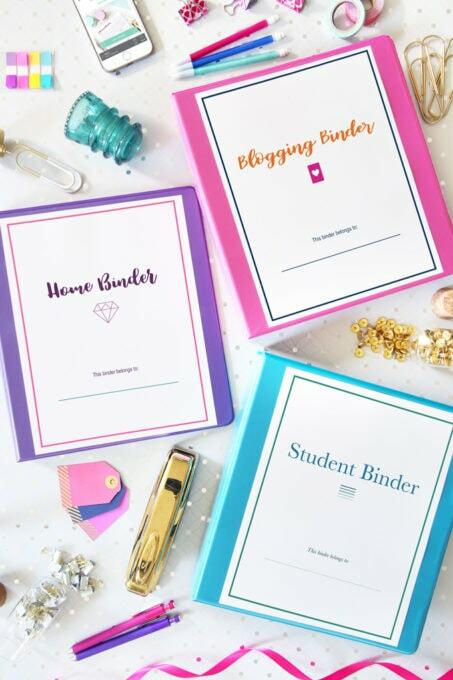 When starting a blog, you need to think about the overall body of work you are creating. Is it something you’ll be proud of years down the road? 8. Write to a specific person. When deciding on a blog topic, think about the type or person you want to be writing to. John Lee Dumas of Entrepreneur on Fire has talked about the fake “avatar” of a person who he created. When he writes or creates courses, he’s writing to that person. This is a useful strategy to help your writing feel more personal. Another strategy is to think of a specific person in your life and write for that person. You don’t have to tell them, but it’s helpful to think about someone specific as you write. Is the person you are writing for in your mind someone who would benefit from what you’re writing? And if so, is it the type of person you enjoy working with? If your “avatar” is a recent dietician graduate and you are writing to help them get started in the competitive industry, do you enjoy spending time and conversing with that type of person? If yes, great! If no, you may want to reconsider your blog topic. 9. Blogging isn’t free, so consider blogging income opportunities. When deciding on a blog topic, it’s important to think about potential income opportunities. Blogging isn’t free and as your traffic grows, so will your expenses. Initially, hosting is very in expensive, but eventually you’ll need to graduate to a more expensive and robust hosting plan. You’ll also want to start an email list early on, and as your subscriber base grows, so will your email marketing bill. Abby and I spend well north of $400 every month on our email marketing service. 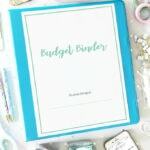 I don’t want to scare you with all these expenses, but you should also think about potential income streams that your blog topic would allow for. Advertising is an income model that works for every topic, but it’s also a difficult way to earn an income. Instead, think about potential books and courses that you could create around your topic. Are there other books, courses, and resources already for sale about your niche? If so, that’s a good thing because it shows that there is a need. If not, there may not be a demand or it may be a topic that people aren’t willing to spend money on. I’ve noticed a trend — people become interested in blogging, and instead of just starting, they go crazy with blogging research and online business building techniques. From there they start a blog about blogging. The intentions are good, and it’s a potentially lucrative niche, but these type of blogs usually fail. 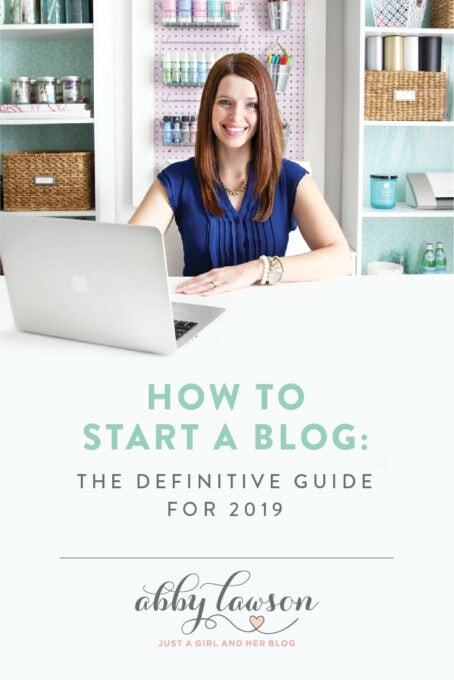 I recommend first building a successful blog in another niche and then at some point in the future taking what you’ve learned about building a successful blog or online business and teach others. This is exactly what Abby and I did. 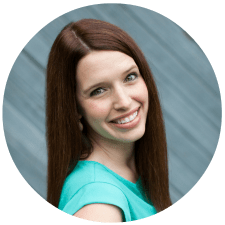 Abby had been blogging for a year and half and had grown a successful blog with hundreds of thousands of page views every month before she started teaching others how to do the same. There was some instant credibility because she had done it before. If you try to teach others about blogging without that same credibility, you are facing a massive uphill battle. It will be easier, more enjoyable, more profitable, and better for your readers if you create a blog about an unrelated topic first, and then teach others how to do the same based on your experiences. This is a tried and true formula. Practice a few types of posts. Ok so you’ve read through this post and have been thinking through potential blog topics, but you just can’t seem to make that final decision. Whatever you do, don’t start multiple blogs at the same time! The early stages of a blog is a time of relentless focus. It’s all out hustle to gain that early momentum. If you’re struggling to make that final decision, try writing a few test posts on your potential topics. Take potential topic #1 and brainstorm fifty post ideas. Pick three of those post ideas and write an actual article. Don’t publish the post yet, but go through the process of writing the type of article you would like to publish. Then, list out fifty potential post ideas for topic #2, pick three of those ideas and write the articles. Same as before. If you take the time to go through this exercise, you’ll likely have a clear idea about what you enjoy writing about more and what topic comes more naturally to you. Just get started! You can change your mind. 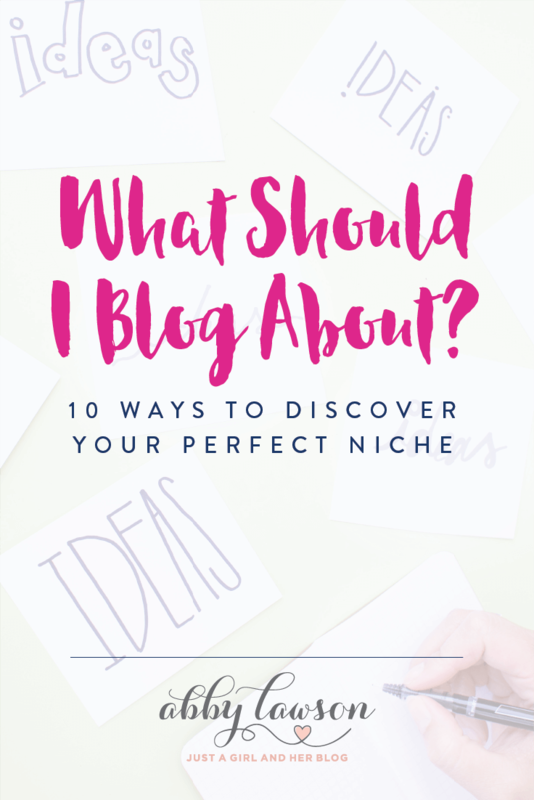 None of the blog topic or blog niche considerations listed here are the perfect solution for deciding what to blog about. When all is said and done, you need to just pick one topic or niche and go with it. Give it all you have and don’t look back. Most people want to start a blog, but only a small percentage actually take action and start doing rather than researching. What will you do?